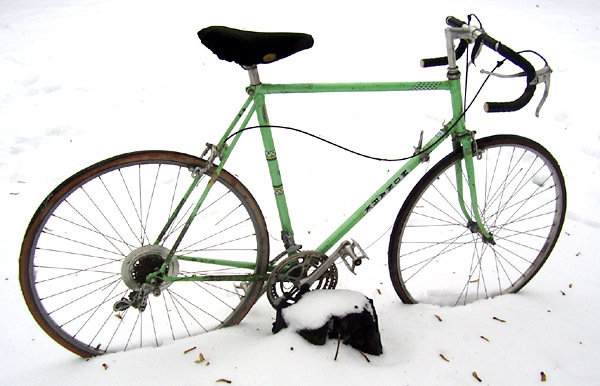 Sending my bicycle for gallery. 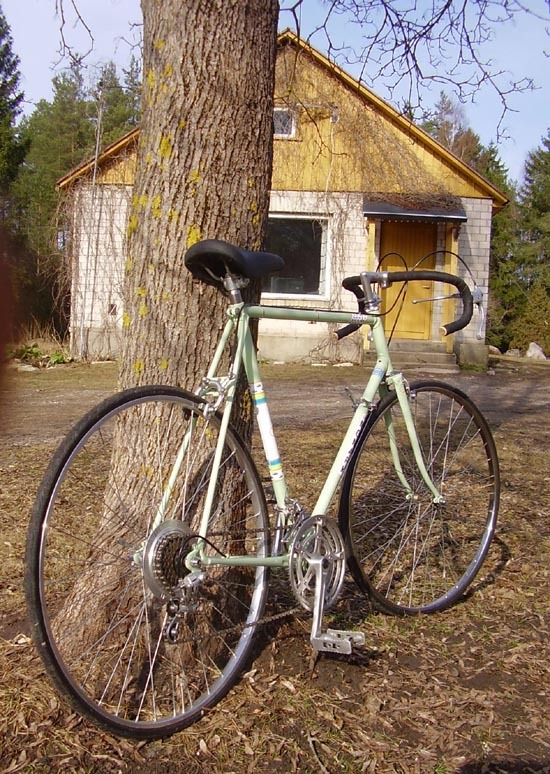 My ’80s Swedish Monark. I found this in scrapmetal appr. 6 years ago with lot of wrong, broken and missing parts. On this year i bring that bike to the new life. 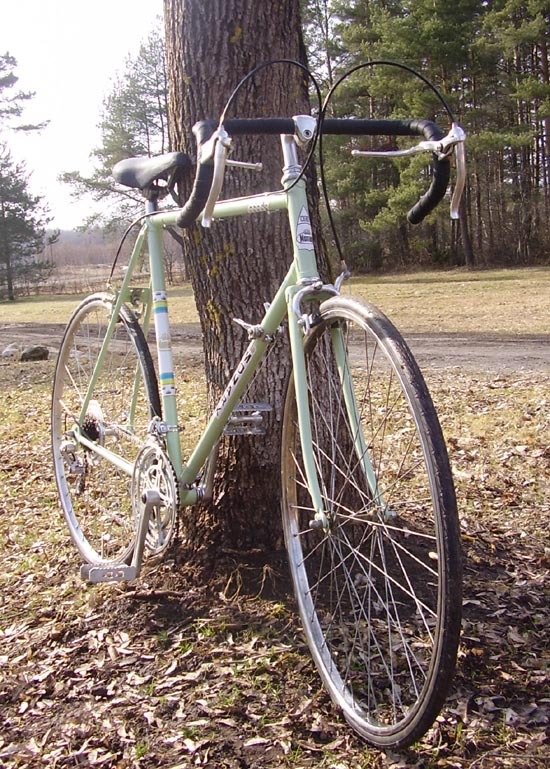 Ryan B.’s Avanti Sprint and Morrison Monark update. Very nice restoration, Jaan. Good job! Great job. 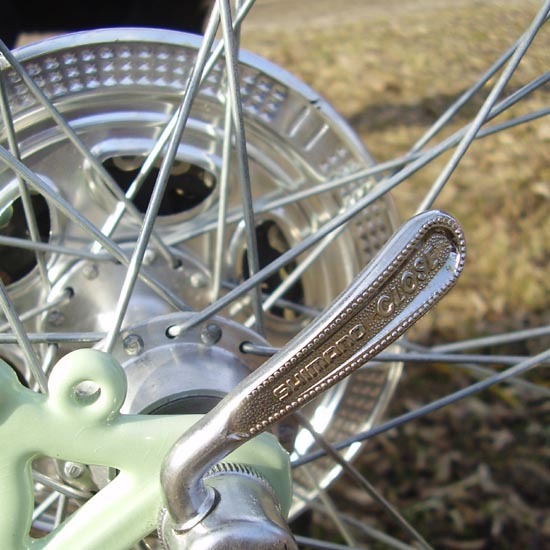 Love the Campagnolo drop outs. Wish I could read your blog. 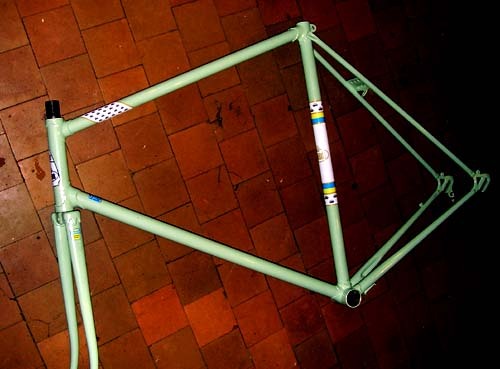 Coincidentally, I just finished redoing a bike in almost the same color. I’ll be submitting it as soon as I can take some photos. Cheers. 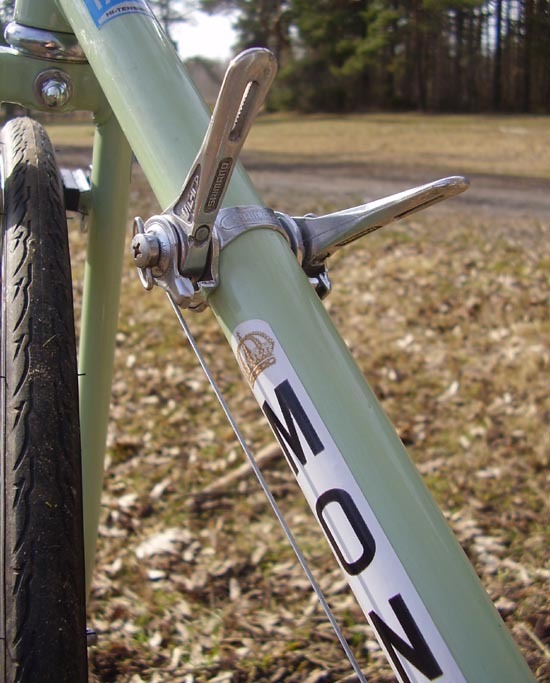 Hardest in building this bike was finding parts and information – Monark’s never sold in Estland. 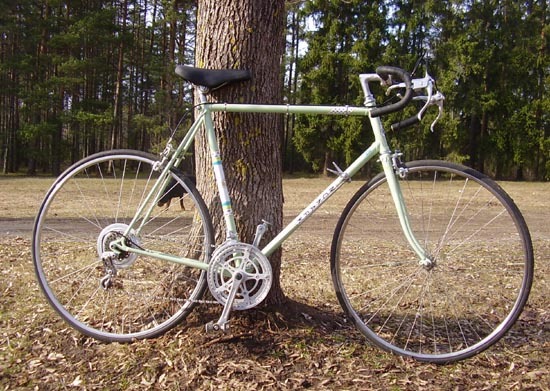 We have form 40-80’s only bikes from soviet lands – from Russia, Ukraina, Latvia and Lituania. 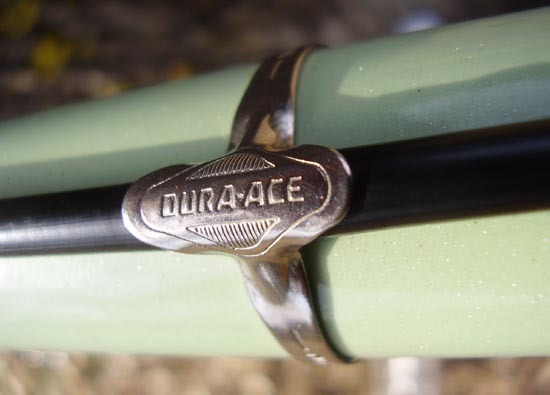 Multispeeds all from Ukraina, from Kharkov factory… but 10-speeds was only racers with tubular tires. 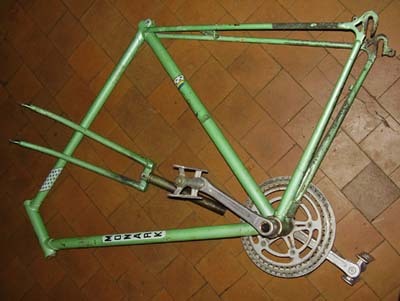 “Usual” old multispeeds with 3, 4 or 8 speed.